Natto is made from fermented soy beans. If that’s got you clicking on the back button just remember that miso paste and soy sauce are both made with fermented soy beans, right? 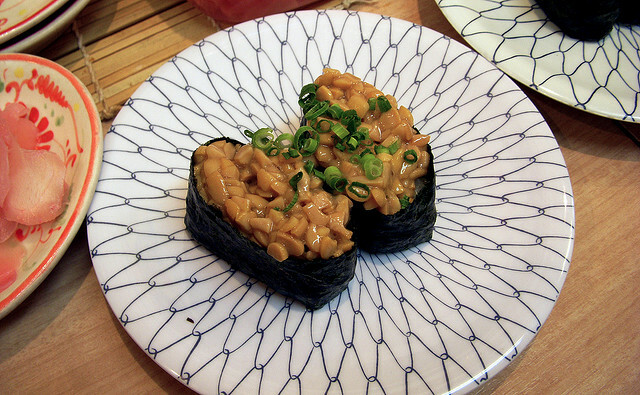 Natto is popular as a breakfast dish on warm rice, but it also enjoyed in sushi, on noodles or on its own. Why Should I Eat Natto? Well if the promise of deliciously sticky, slightly pungent beans is not enough to lure you natto is also known for its healthful properties. 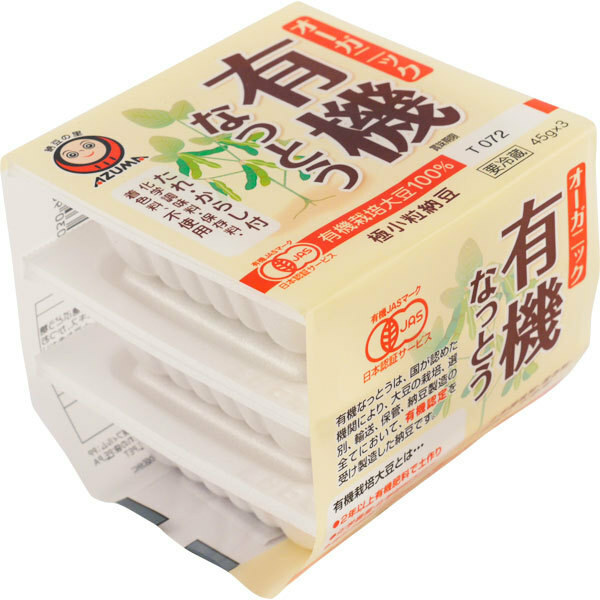 Natto is known to be high in Vitamin K2, which helps prevent osteoporosis. It also contains a substance known as nattokinase, which may help reduce the chance of blood clots and as a result, heart attacks. 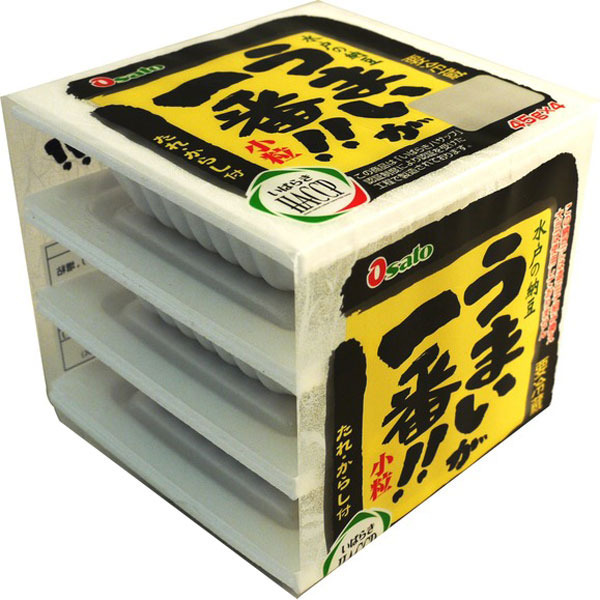 If that wasn’t enough, natto has also been shown to lower cholesterol. 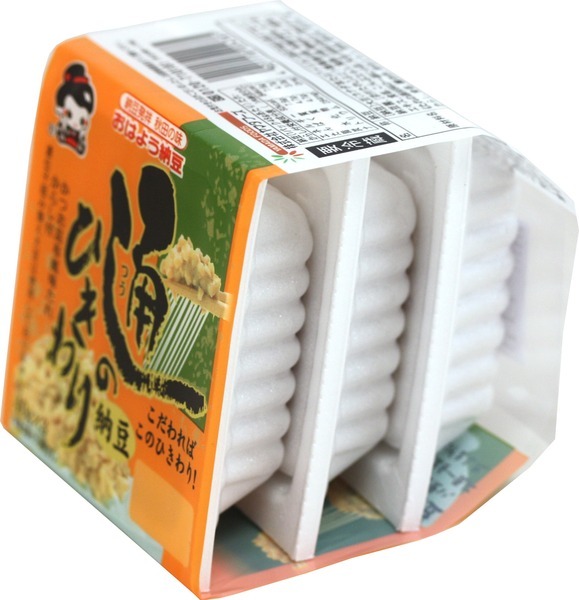 First you need to discover if you’re a natto lover or a hater! Natto has a strong aroma that many compare to blue cheese or century egg, if you like these then you may just be a natto fan too. We suggest you first try natto plain with a little warm rice, you can find instructions on how to prepare it here. If you find natto is to your taste, well you’re in for a treat! If, however, you’re not so fond, there are also ways to reduce the natto-y flavour so you can still enjoy this healthy bean. Character goods fans may already recognise the cute and beany mameshiba bean dogs. Today natto is here to tell us that white asparagus is called mademoiselle fingers in France. Amazing! Posted in Food, Recipes and tagged Diet, health food, natto, Recipes. Bookmark the permalink. I add condiments and green onions among other crunchy things like croutons with my natto in the morning.